Fagerson made his professional rugby debut with the Warriors in 2014 and has been an integral part of the club since then. 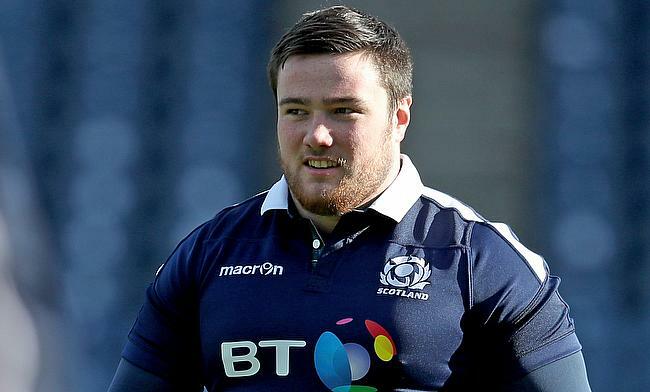 He became the youngest player to feature in 50 games for the Warriors at the age of 21 and until now has featured for the Scotstoun outfit 72 times. “I’m so happy to be staying at Glasgow Warriors. The club means a lot to me, so to be able to stay for at least another three years is a huge honour,” Fagerson told the official website of the club. “We have a world-class coaching team and a growing number of passionate supporters, so it’s a great club to be at. Consistent performances for the Warriors saw him earn a call-up to Scotland squad in 2016 making his Test debut in February that year and has so far played for the Dark Blues 18 times with his last appearance coming against Argentina in summer 2018. Glasgow Warriors head coach Dave Rennie is delighted with the news of Fagerson extending his stay with the club. “Zander’s a good man and a terrific prop. He is physical and mobile and at only 22 I believe he’ll continue to develop in our environment. "We’re thrilled that he has committed his long-term future to the club.